Riley has been playing in the front garden a lot lately she'll spend a good 1/2 hour just playing in the dirt and wood chips. 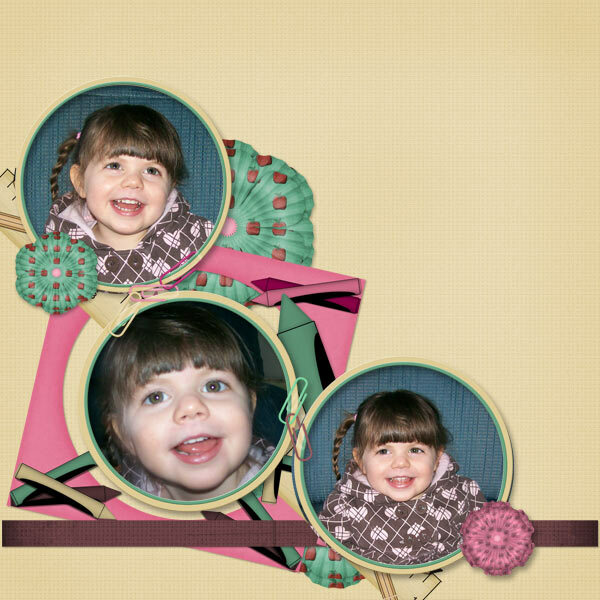 Well I just had to take some pictures of her when she said she was building a bug house. She found quite a few potato bugs and a worm to live in it. 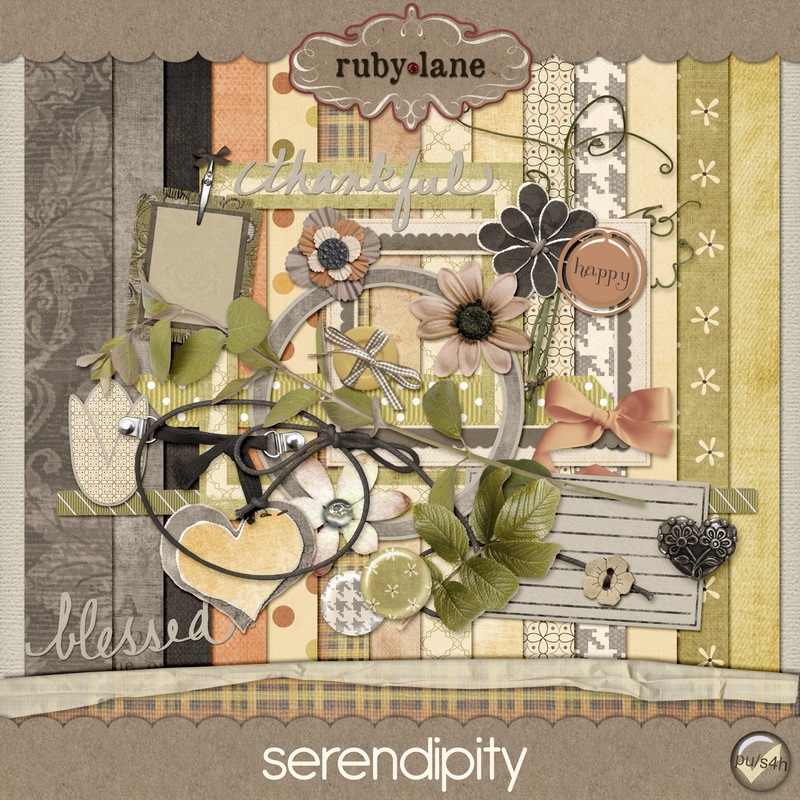 The kit I used was from Ruby Lane. Its a goregous kit full of textures and stunning colours! 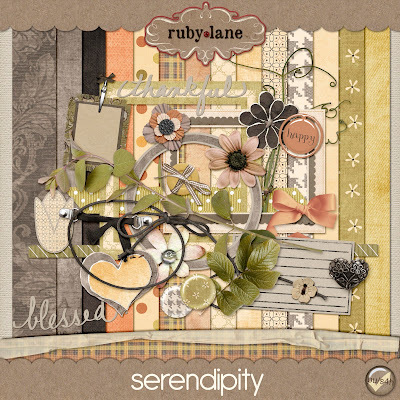 Its called Serendipity and you can find it at SDD and FPD. 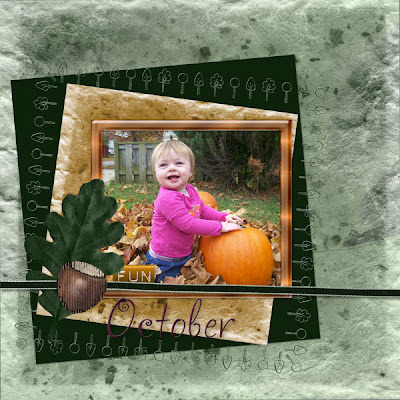 Yup another Halloween kit! I think I'm getting addicted to them. This one is by Lauren Marcelle and it's called Spooktacular, you can find it at Misses BeeHaven. 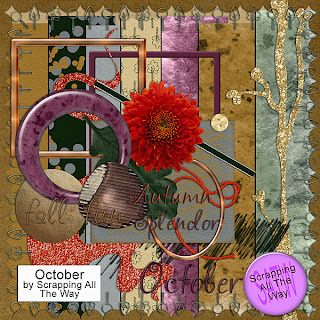 What a great fall kit that Ruby Lane has just recently put out. 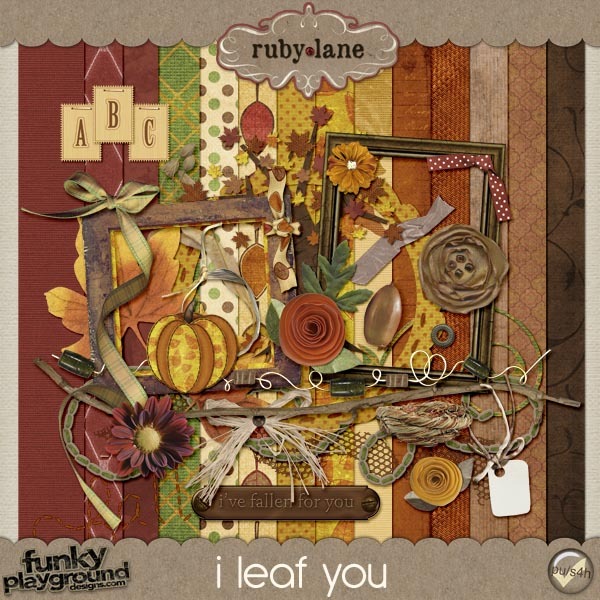 Its called I leaf you and you can find at her strores in Funky Playground and at Scrappity Doo Dah. Need a fun Girly back to school kit? Scrappin Wright has a great kit for you then, its called Time for school and you can find it at Misses BeeHaven! 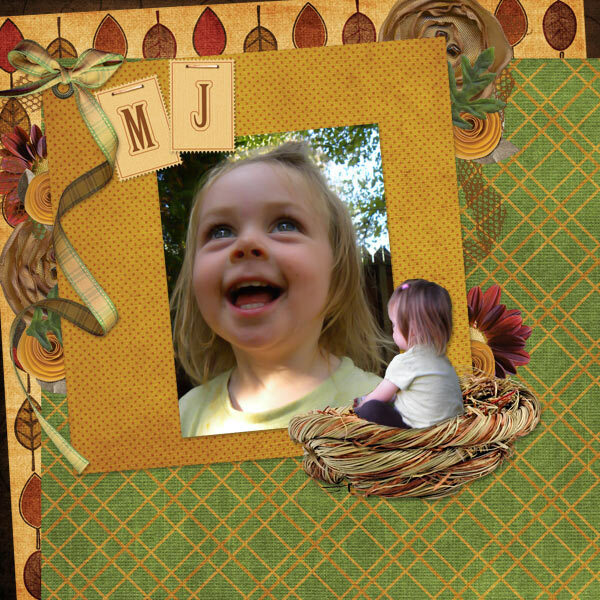 SATW is Designer of the Month over at Misses BeeHaven! To celabrate she has made a freebie kit everyone called October! You can find it here at her store! 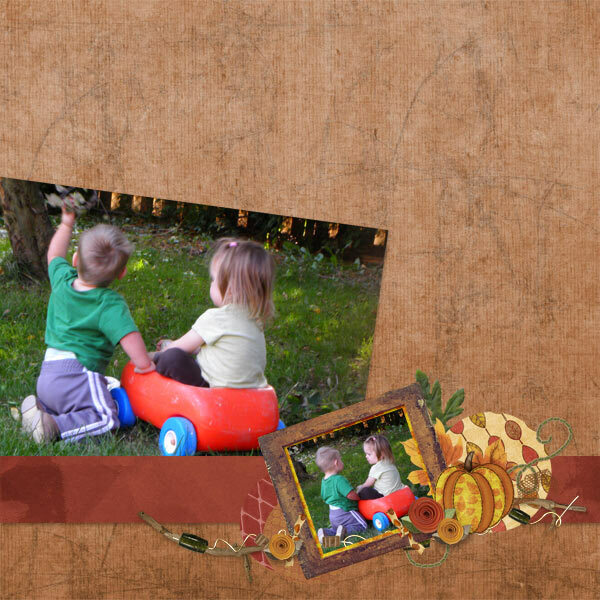 Scrap Happens to Me has a new store and a sale! 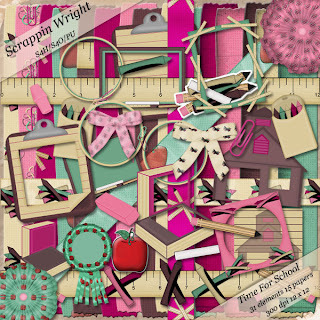 Thats right Scrap Happens to me has moved to Angel Baby Scraps Store! Here's here new link. She's also having a 40% off sale right so go check it out! 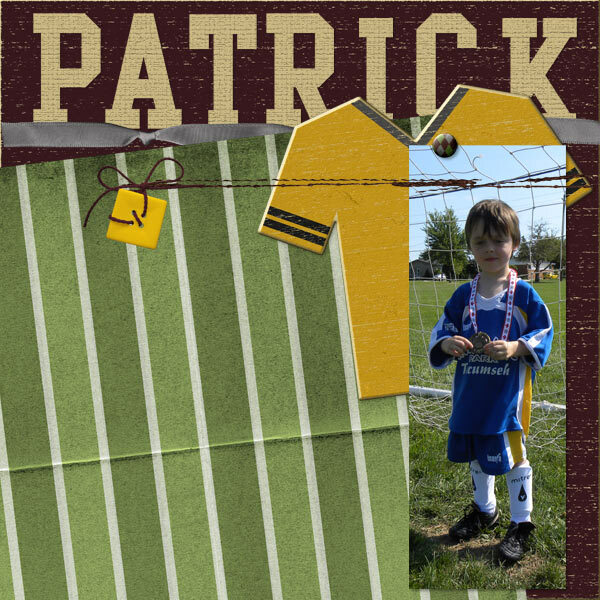 Here's a preview of her new kit Fantsay Football. 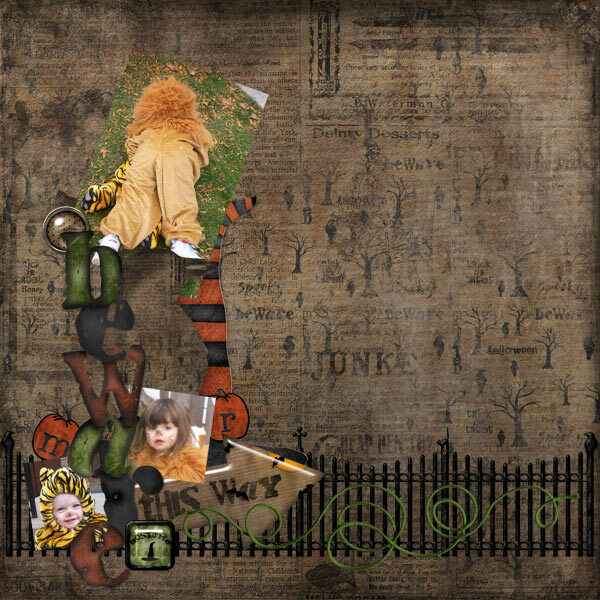 New kit by Ruby Lane's Designs "I Remember When" You can find it at Funky Playground Designs and Scrappity-Doo-Dah! Here is the full preview of the kit! Don't you just love the colours! Scrap Girls!! Here's a link to her store! 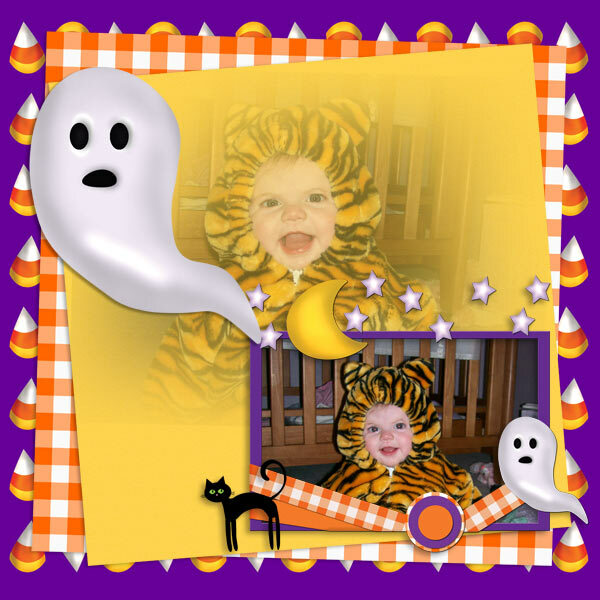 and She has a great Hallween kit out called Spook-a-licious! 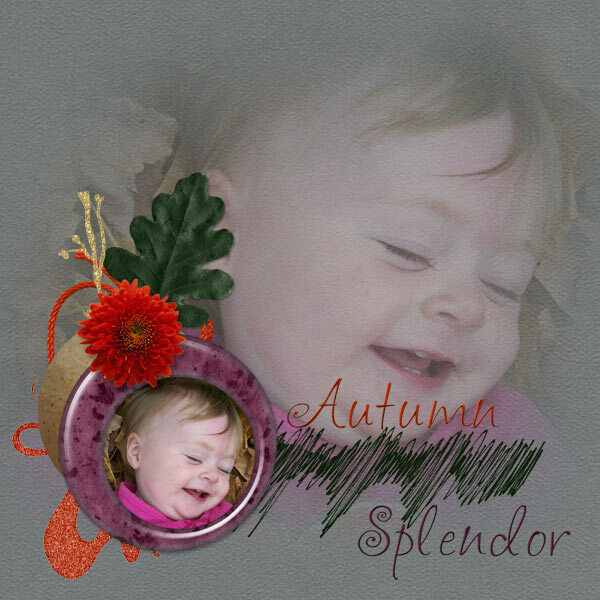 I love the colors she used for this. 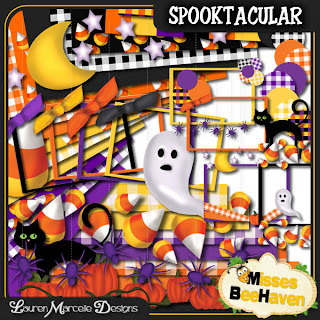 Misses BeeHaven's Hallween Collab is here!!! 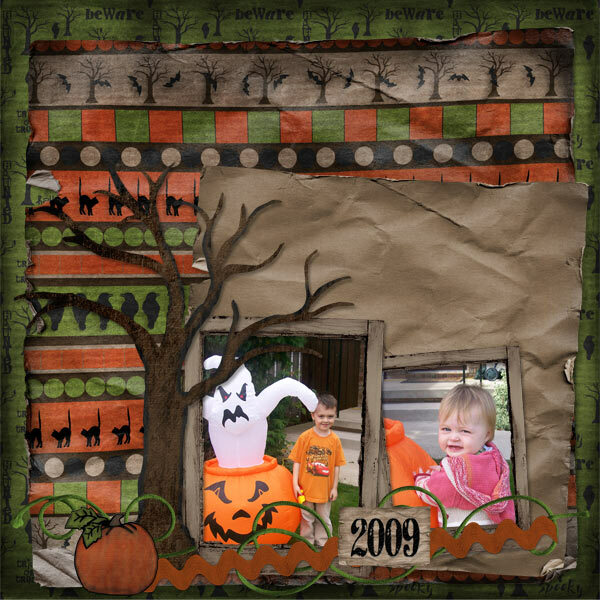 Check out the amazing Spookylicious Halloween Collaboration Kit exclusive to Misses BeeHaven, it is totally awesome and a must have for your Halloween scrapbook layout memories this Halloween. This full size Halloween kit bundle was made possible thanks to our creative designers that have joined together to bring you this Full Size 300dpi MEGA kit including 58 papers, 122 elements and glitter styles all in this one bundle. 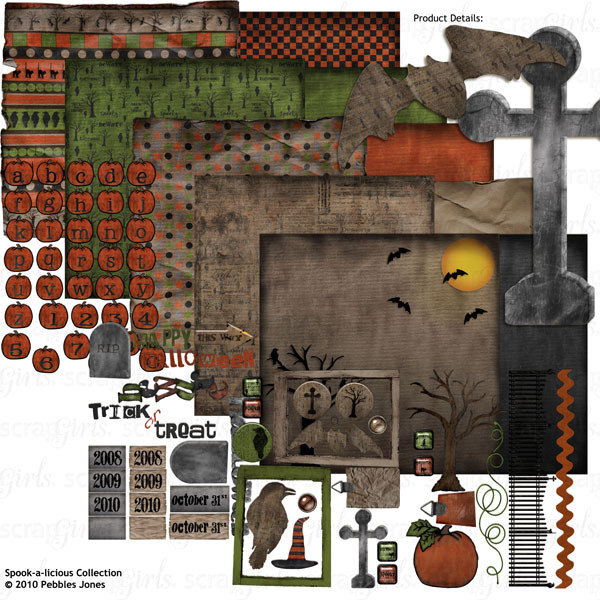 The Halloween Delights collaboration can yours FREE with any purchase over $8.00 or you can purchase the collaboration kit outright for $12.00.